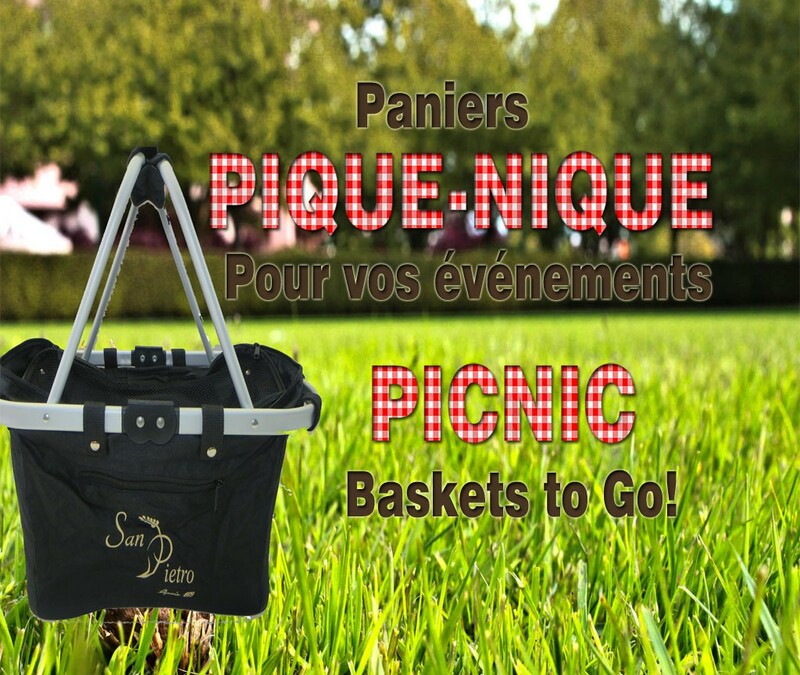 WHAT IS A SAN PIETRO PICNIC BASKET? 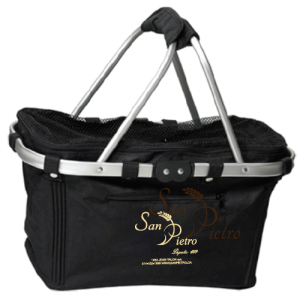 A San Pietro basket is a food service with a sole purpose, to take a a load off your shoulders. If ever your in need of a food basket or if you are in need of a hand with your food preparation, you can just call San Pietro. We only need one day notice!!! #1 – l’Italiano – $9.50/pers. 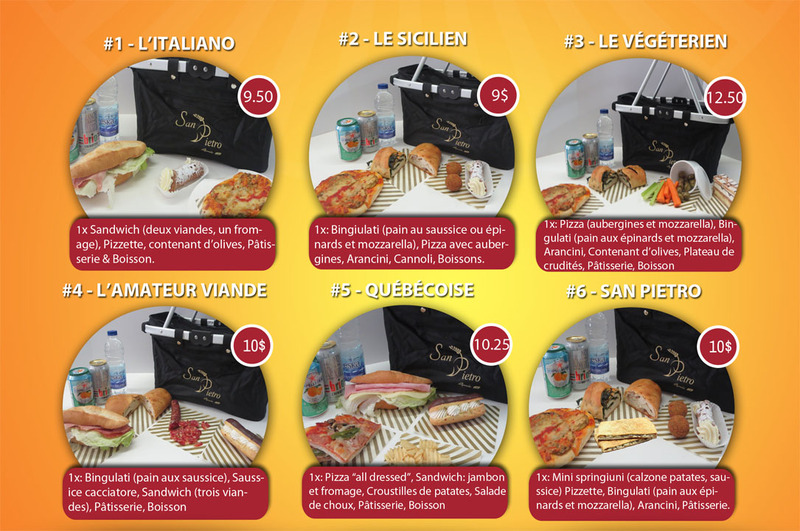 #2 – Le Sicilien – $9.00/pers. #4 – Pour l’Amateur de Viande – $10.00/pers. #5 – La Québécoise – $10.25/pers. Call the day before for pickups. Initial cost of an empty basket is $20.00, a $5.00 exchange fee will be charged for returning baskets. Complimentary ice packs, utensils and napkins are included with every basket.